This album gives you a taste of Queen both new and old. "It's A Hard Life" could have well fit on albums such as News Of The World or Jazz, while "Radio Ga Ga" and "Machines" showed everyone that Queen were just as hip to new sounds as anybody. 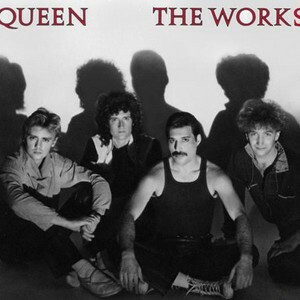 The album opens with "Radio Ga Ga," probably one of the best songs of the 80s. Ironically, this song with the sound of those others being played on MTV is about how much the singer misses listening to the radio, and how MTV has replaced the radio. Then, things get rocking with Brian's anthemic "Tear It Up," a track very reminiscent of "We Will Rock You," giving the listener an adrenaline rush and a musical high. Next is a track that is vintage Freddie Mercury from top to bottom. "It's A Hard Life" has everything one loves about Freddie. It is a piano ballad ala Somebody To Love with plenty of multilayered vocals and and excellent May guitar solo, yet it still rocks you. Following this then-current classic is a catchy rockabilly track. "Man On The Prowl" is somewhat reminiscent of Elvis Presley, except with a little more modern rock mixed in, as was their 1980 hit "Crazy Little Thing Called Love." 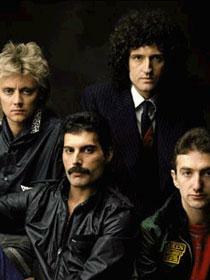 The next track is not one of the more popular Queen tracks, but "Machines" is very very cool. All the synthesizers fit the lyrics perfectly. If the Terminator movies were made back then, one could picture a pretty cool video based on the movie being used for this synth track. There are even vocals sung through a vocoder, to simulate the voice of a robot. Next is a song, which is the one disappointment on this album. The single release of "I Want To Break Free" had a lot happening in it, and clocked in at a little over four minutes. On the album, the song is stripped down and a lot shorter. It seems to much like something is missing, though the song itself is quite enjoyable. Next is "Keep Passing The Open Windows," a Freddie track that sounds both old and new at the same time, and would have been fitting for "The Game." Up next is one of Queen's classic hard rock songs, "Hammer To Fall," this Brian May-penned track will rock you (no pun intended) and make you bang your head. 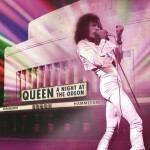 Finally, closing the album is a track reminscent of the live performances of "Love Of My Life," which just featured Freddie at the microphone while Brian played acoustic guitar. "Is This The World We Created" is a duet of Freddie and Brian as they are on the live performances of "Love Of My Life," and the track was often played after "Love Of My Life" at concerts during all future tours. Another positive thing about this CD release is the bonus tracks are actually quite good. Though I couldn't care less about the extended versions of "Radio Ga Ga" and "I Want To Break Free," "I Go Crazy," the B-side to "Radio Ga Ga," just rocks. It should have been included on the album's original release, it's a great rocker that fits in perfectly with the rest of the album. In conclusion, The Works is an absolutely fabulous album. Not only did it completely make up for the "mistake" the band made with Hot Space, it also provides a great variety of everything Queen was and would be in the future. Excellent piece of work, recommended to all music fans and musicians everywhere. A true showcase of the many talents of one of the greatest bands to ever grace the planet.